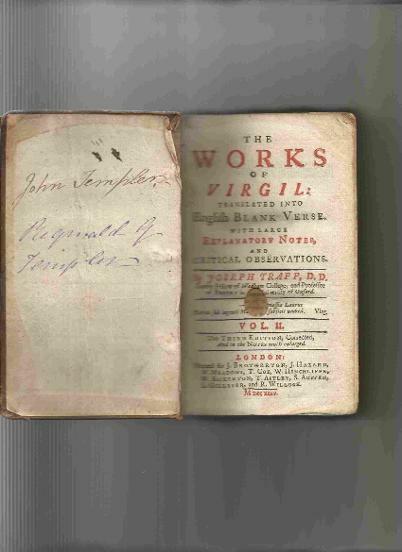 Above: These pages have the names John Templer, Joseph Sunter (1753 or 1758) and Reginald G. Templer on the left hand page and William Sunter (1751 and 1753) inscribed on the right. 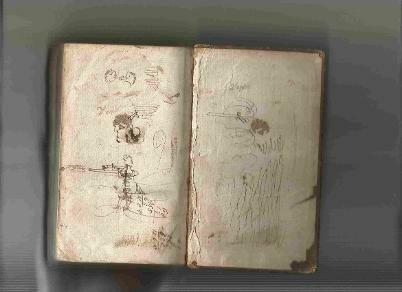 The following four images are from the endpapers of one volume of The works of Virgil, by Joseph Trapp. Four people have inscribed their names, and there are additional doodles. Many thanks to Janet Brown for allowing me to use these images, and for information on the families involved. 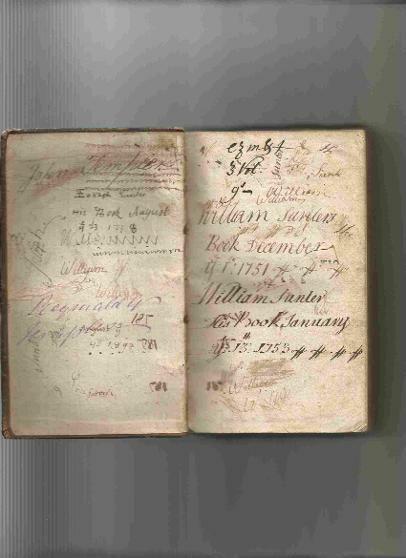 William and Joseph Sunter were the sons of John Sunter of Ashburton, baptized in 1736 and 1743 respectively. Elizabeth, the daughter of Joseph Sunter, was baptized in 1790, and an Elizabeth Sunter married John Templer in 1818. 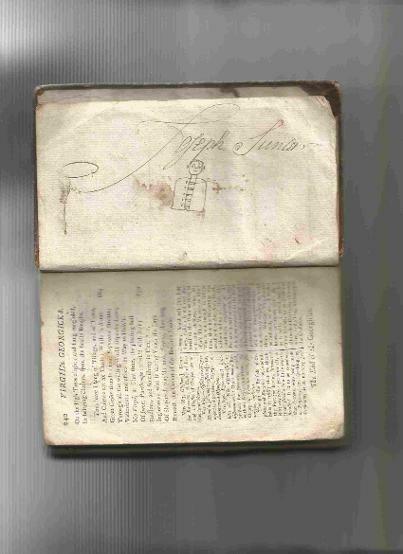 The Reginald G who has written in the book is presumably Reginald Gwynne Templer, the great grandson of Joseph Sunter.